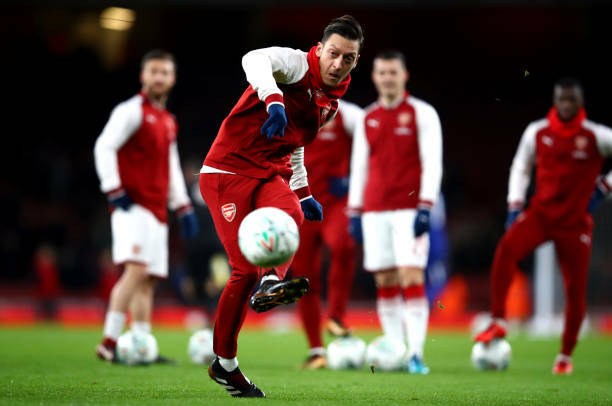 Turkish Super Lig giants Fenerbahce have been linked with a shock move for Arsenal playmaker Mesut Ozil. According to the Turkish outlet Fotospor, Fenerbahce President Ali Koc is keen on bringing Ozil to Fenerbahce. The 29-year-old is a Fenerbahce fan and has previously stated his desire to play in Turkey later in his career. “Everyone knows I am a Fenerbahçe fan,” Ozil told the Turkish outlet Sabah. Fotospor go onto state that Fenerbahce are considering a January move for the star playmaker. However, it should be stated that the move appears to be extremely unlikely. Fenerbahce are currently being monitored by UEFA for Financial Fair Play and struggled to make transfers over the summer. Fenerbahce will no be able to cover Ozil’s astronomic wages. Furthermore, the former Germany international penned a bumper new deal at the beginning of the year. Ozil spent the international break in north London after quitting the Germany national team. The 29-year-old is expected to feature when Arsenal take on Newcastle United this weekend.